WE'RE DOING SOME WORK ON OUR SITE! please check in with us again. 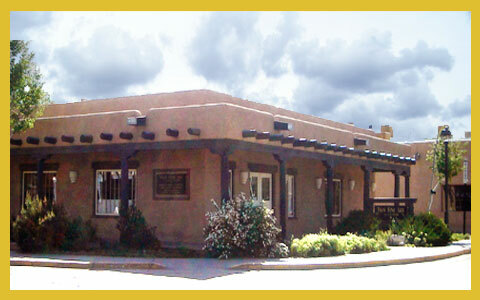 TAOS FINE ART, after a brief stint in Massachusetts and then Santa Fe, has now returned to its original location at the main intersection of historic TAOS, NEW MEXICO and continues to specialize in the Early Art of New Mexico and the American West. We also carry Pre-1950 American paintings and prints as well as contemporary paintings and, of course, our extensive and nationally recognized collection The Works of Gene Kloss, (1903-1996). Our Handmade Textile Collection offers a wide selection of weavings from museum-quality 19th century Navajo Wearing Blankets and Antique Navajo Rugs to high-quality modern tribal rugs rich in southwest color and appeal, at very attractive prices.